Was Obama finished with our Ambassador to Libya where the Arms Trading was concerned? Did he believe Chris Stevens was going to go public with what he knew about this administrations illegal trading of weapons to the enemy??? Was this like the dreadful murderous collateral damage of 'Fast and Furious'? Adding fuel to this conspiratorial fire is the fact that the mainstream media refuses to cover these points despite overwhelming evidence. My advice to the American public is burn down the phone lines of the corporate controlled media and tell them to legitimately cover the events at Benghazi. 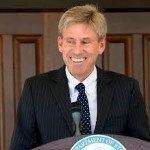 The murder of Stevens and his team at Benghazi could be a seminal moment in American history. We know from last year that al-Qaeda forces, fighting on the side of NATO in Libya, obtained 20,000 hand-held stinger missiles. This means that the Obama administration has allowed al-Qaeda to be armed to the teeth including 20,000 stinger missiles in which only one is needed to take down an American airliner. To cover their tracks, the Obama administration left Chris Stevens and his bodyguards defenseless as they were killed by the very terrorists who this administration armed. Additionally, the Obama administration has allowed al-Qaeda to be armed to the teeth including 20,000 stinger missiles in which only one is needed to take down an American airliner. Additionally, there is a growing movement in the military to rebel against this administration. Panetta was shot at by American troops while landing in Afghanistan. The former commander of our forces in Afghanistan, General McChrystal, was sacked for his “disrespectful comments” about the Commander-in-Chief. And now we witness two senior level command officers fired by Obama because they would not be complicit in the murder of Ambassador Stevens. As the facts continue to come out, it is clear that Obama, Panetta and Clinton are accessories to murder. Some feel that they are the masterminds behind the murder of Stevens. All three individuals should be charged with treason, conspiracy to commit treason, first degree murder and for violating Trading with the Enemies Act. If any American airliners are brought down as a result of their heinous actions, they should face additional charges of accessories to murder and depraved indifference. General Rodriquez, who arrested General Hamm, for attempting to launch a rescue effort, should be charged with aiding and abetting murder and treason. Chris Stevens was certainly no angel. However, he did not deserve to sacrificed in order that Obama could cover his criminal tracks. Whether we are talking about Border Patrol agent, Brian Terry, murdered by drug cartel members who were supplied with weapons by Obama’s illegal Fast and Furious gun running program, or we are speaking of Chris Stevens, murdered by Obama related forces to cover his illegal gun running tracks, how can anyone who works for this administration and feel comfortable that the this President has their back as they risk their lives doing what their country asks them to do? If the American voters are unable to stop the bleeding and remove this lunatic of a President, while overcoming the George Soros voting machines in which the votes will be counted in Spain, then perhaps the military will provide the justice that a growing number of Americans are clamoring for.